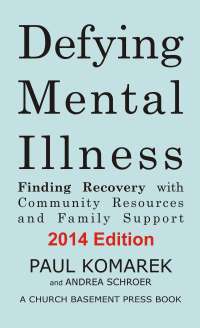 Defying Mental Illness is available now from a variety of online booksellers. Smashwords publishes in a variety of ebook formats and distributes to Barnes & Noble, Apple, Sony, Kobo and other e-reader stores. You can download a pdf sample of the book from Smashwords. Createspace, associated with Amazon, also distributes titles to library and academic markets.